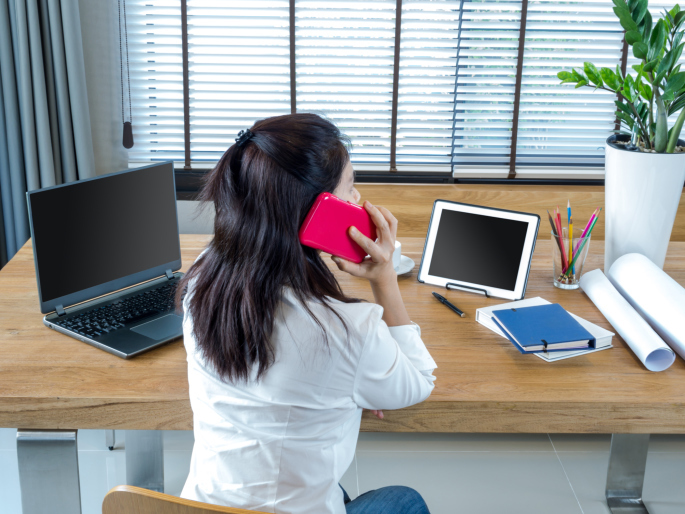 With the increasing flexibility of the modern workplace, there are many more businesses offering their employees the opportunity to work from home. While this shift in the job market has created a bevy of new options for freelance workers, it can also be a good reason to turn a spare room into a spanking new office. If you’re working from home, here are some tips for a stylish transition. Outside of lighting, the color and upkeep of the walls is going to have a huge impact on the way your spare office will look. Before even considering placing furniture or putting up pictures, decide on the perfect shade of paint that will keep you inspired and will go with the rest of your house. This will easily brighten the room, and prep it for its future purpose. There are few things that will change the ambiance of a room like light, so make sure the room your changing up has a great set of windows or the kind of fixture that will provide effective illumination. Since many people have a hard time focusing in the orange or bright light that can come in certain work settings, a well-lit place may make all of your work seem a little bit easier. Many people put any old clunker of a desk in their spare office since it will do the trick, but if you’re making the decision to renovate your spare room for work, it will be worth it to choose a desk you’ll want to work at. Before going desk shopping, measure out the length and width of your spare room so you can make a desk purchase that will work for your new office. Beyond the supply of pens, paper and a computer, it might seem like the extras of your office situation can be kept out of the equation, but a few pictures can add a lot. While you may want to add some photos of family and friends, it might also be helpful for your work-time diligence to put up a picture that adds a shot of color and will inspire your best work. There are a lot of great options for a spare room, but if you work from home an office can be the ideal renovation. If you happen to be sprucing up your spare room to sell your home, you may want to contact one of your local real estate agents for more information.